If you’re itching to see Lake Titicaca Peru but don’t have quite as much time available, we offer this 3D Cusco to Lake Titicaca Extension. Spend a day traveling from Cusco to Puno and a day on the islands before traveling on to your next destination. All of our extension packages can be designed to include your preferred style of accommodation. The pricing shown on this page is for Standard style of travel, which includes hotels in our Standard category of hotel. For other styles of travels – including Comfort, Boutique, or Luxury – please contact us for pricing. Guide and entry fees to all sites on the first day. Pick-up and drop-off at Puno hotel. One night in a Standard hotel in Puno. You can also choose to upgrade your hotel if you would like a little extra luxury. See Optional Extras & Upgrades for more info. Flight from Juliaca to your final destination. Please Contact Us for pricing and additional details about any of these Extras & Upgrades. 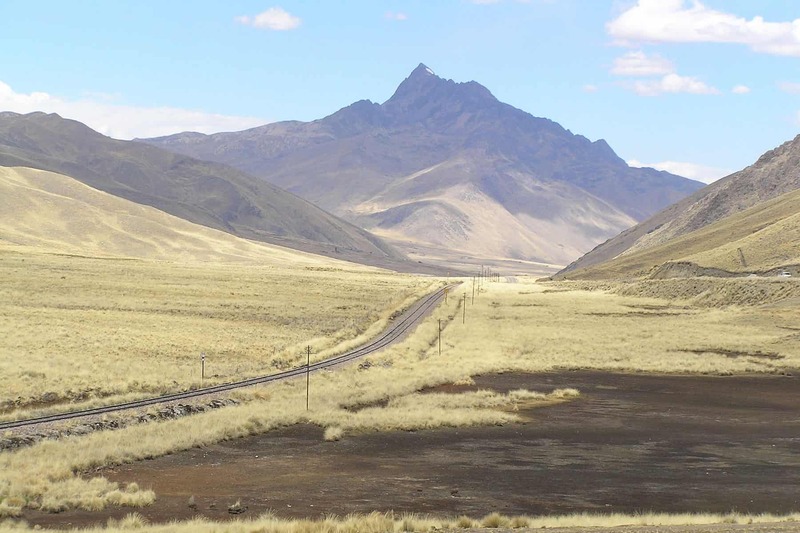 Upgrade your Cusco to Puno travel and opt for the PeruRail TiticacaTrain! Only a few departures per week. Upgrade your hotel in Puno! See our Puno hotels page for a sampling of hotels available in each hotel style and contact us for pricing and other information about upgrading. Time permitting, add a visit to the Chullpas of Sillustani or other Puno attractions before your return flight on Day 4. 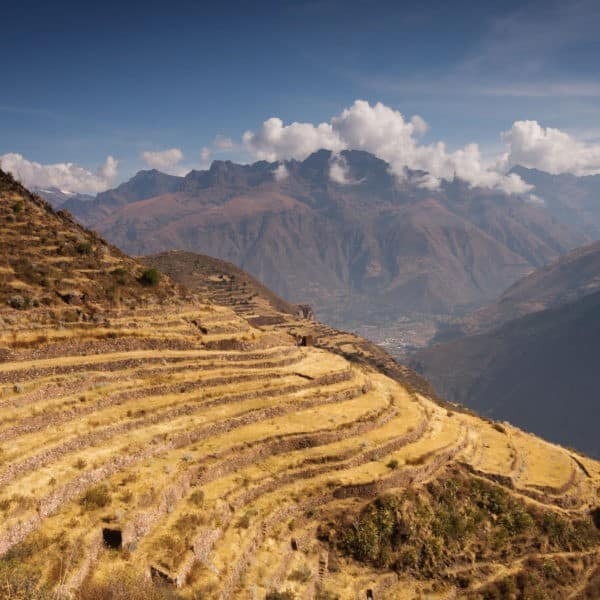 Continue your adventure and head to the Colca Canyon! 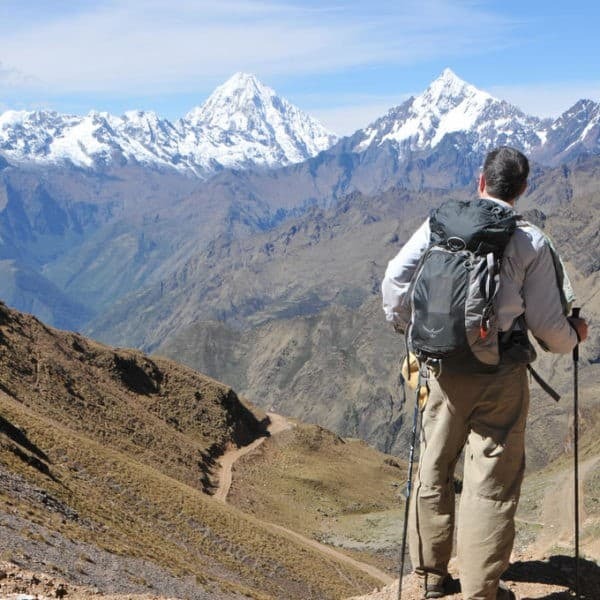 We can organize a 3-day Colca Canyon Package that starts with a 5h transfer to Cabanaconde on Day 4, making this a 7-day tour in total. This Cusco to Lake Titicaca excursion is operated by independent providers and not by Apus Peru. 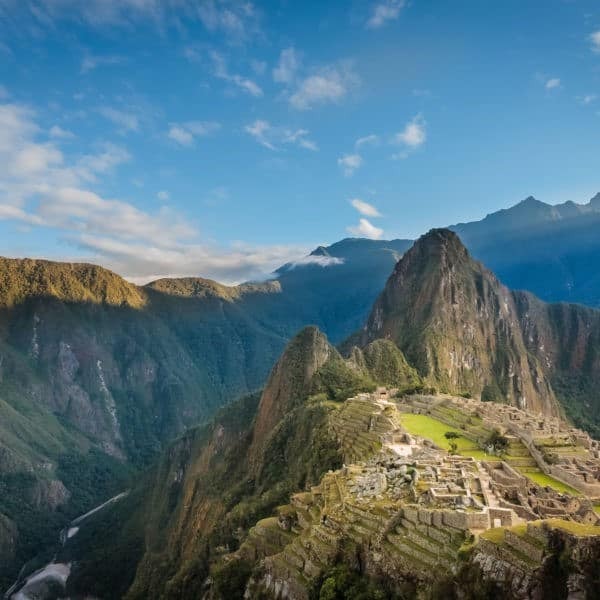 The exact route, itinerary and inclusions are at each independent provider’s discretion and Apus Peru is not responsible for deviations from the information presented here, or for the quality of the services provided. This is a group tour, where you will be travelling with other people. If you would prefer a private tour, please let us know! Does this Cusco to Lake Titicaca tour sound like just what you were looking for? If you’re ready to book or just want to find out a bit more information, fill out the Inquiry Form in the top right-hand corner of this page to get the ball rolling. 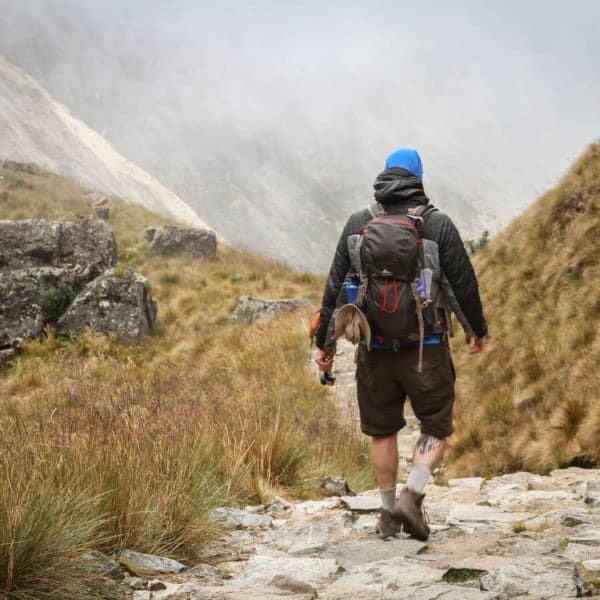 You’ll be connected with one of our amazing sales people who will be able to turn your dream of hiking in the Andes into a reality. For more information on the entire booking process, please see our How To Book page. We’ll pick you up at 7am and take you to the bus terminal. Your Cusco to Lake Titicaca adventure begins at 7:30 as you say goodbye to Cusco and start your 10h journey towards Puno, stopping at several spectacular sites along the way. First stop is Pikillacta, a pre-Inca city whose name means ‘Place of the Flea’ in the Inca language, Quechua! From here, you will visit the colonial church of Andahuaylillas, known as the ‘Sistine Chapel of the Americas’ – it has to be seen to be believed! The spectacular Inca ruin of Raqchi is another highlight, and the incredibly ancient remains of Pukara round out the day. Arriving in Puno in the evening, you will be transferred to your hotel. Lunch and guide are included. This is a fairly long but fun-filled day! 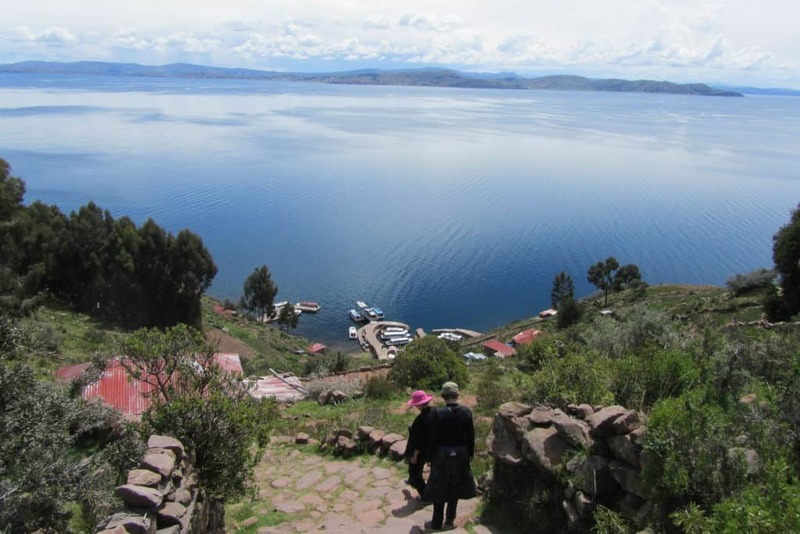 You will be picked up from your hotel around 6:30 am and taken to the boat for your day-long Lake Titicaca adventure. First stop is Uros where you’ll have a brief explanation of the way of life of those who live on these incredible floating islands. From here, we travel another 2h on the boat until we reach Taquile, a small island with an incredibly strong traditional culture. 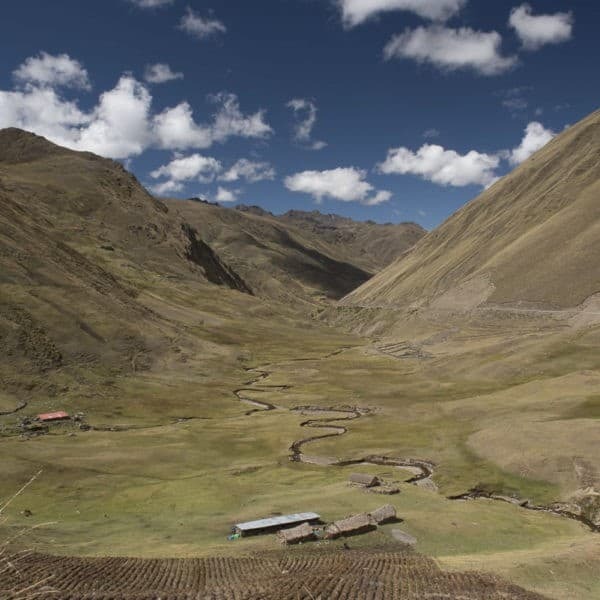 Taquile has approximately 1,200 Quechua-speaking inhabitants, most of whom are small-scale farmers. However, since the mid-70s, they have also become well known for their firm entrepreneurial spirit. Since the beginning of the influx of tourism to the island, some Taquileños have been participating directly in tourism activities. Some have organized themselves to provide tourism services such as homestays, restaurants and boat transportation. Upon arrival, you’ll have a chance to visit the main plaza and the market, followed by an opportunity to have lunch. After lunch, it’s time to start the 3h journey back to Puno, arriving there around 5pm. Today we’ll transfer you to the airport in Juliaca in time for your departing flight. End of services.